Oregon’s brewing industry is strengthening our local economy one beer at a time. According to the Oregon Brewers Guild, our breweries have contributed nearly $2.5 billion to the state’s economy in 2011. In Corvallis, both Flat Tail and Block 15 brewers say they’ve increased production significantly over the past year. They both attribute their success to their loyal customers. 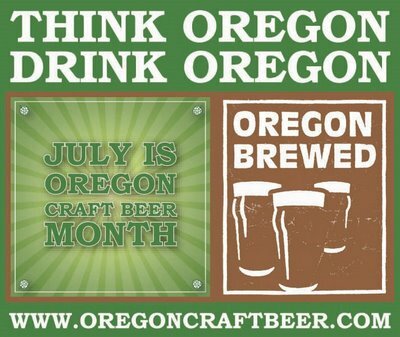 The Oregon Brewers Guild reports Oregon’s 110 brewing companies crafted more than one million barrels of beer during 2011, a 7.5 percent increase over the previous year. Flat Tail’s brewmaster says their rise in production is even higher. “To give you an idea of how we’ve grown as a brewery, in a year and a half, our initial production was roughly 30 barrels a month, whereas now we’re producing anywhere from 100 to 140 barrels a month,” said Co-owner and Brewmaster David Marliave with Flat Tail Brewing Co. The increase in production, in turn, allows them to expand their options. “We’re brewing a lot of special one-off beers, barrel fermented, barrel aged, sour beers, things like that that previously were kind of unknown to most of the Oregon beer drinking culture,” Marliave said.